We all go through lulls in creativity, but nothing has been more consistent in its effect than the seasons. There's something about the warmer months that means changes in behaviour, activities pursued and in turn creative opportunities. Hiking is less visual. The sun is high in the sky by the time you're on the road. There aren't those surreal visuals and the peaceful quiet in those waking hours of sunrise. Winter in Queensland is my kind of hiking season. It also gets much warmer, fashion changes and becomes far more about than comfort, in other words shorts and flip flops, so street photography in my home city of Brisbane becomes a little more "plain" and I lose my inspiration. So you have to dig deep in the box of creative outlets for something to satisfy that craving to make something. I set up my lounge room studio again. I want to create portraits again. I don't know how successful I'll be in starting the portrait vehicle up again, but to start is the only thing I need to do right now. So that's what I'm going to do. I took notice of a photographer's work I had essentially forgotten to notice, Joey L. I learnt a lot from his work and videos when I was deep in these learning curve of portraiture. I was struck by the idea that I had ceased to learn, and now I was just coasting along, confident in my abilities, but perhaps complacent in furthering my own portraiture and to be honest, very unpractised. This is one thing I'm excited to explore. A few of the fine folks from the West End Camera Club. I made some portraits of Hannah. 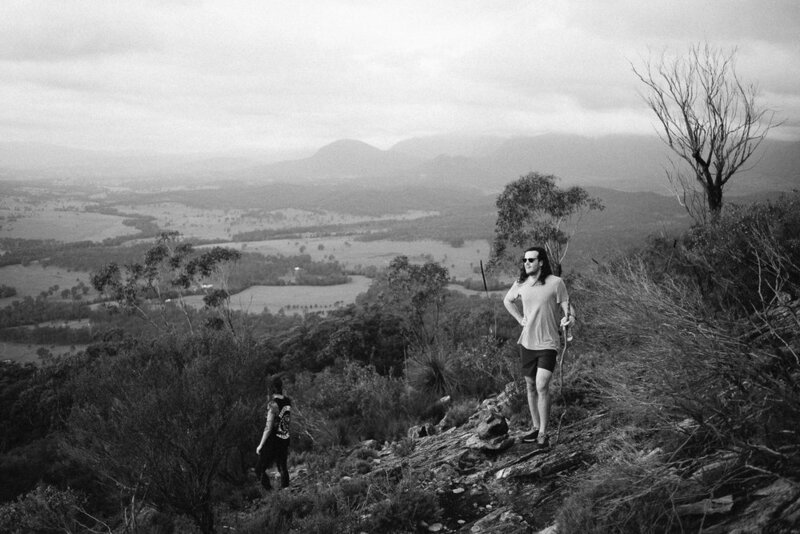 I took Steve and Larissa up the eastern slopes of Mount Greville.